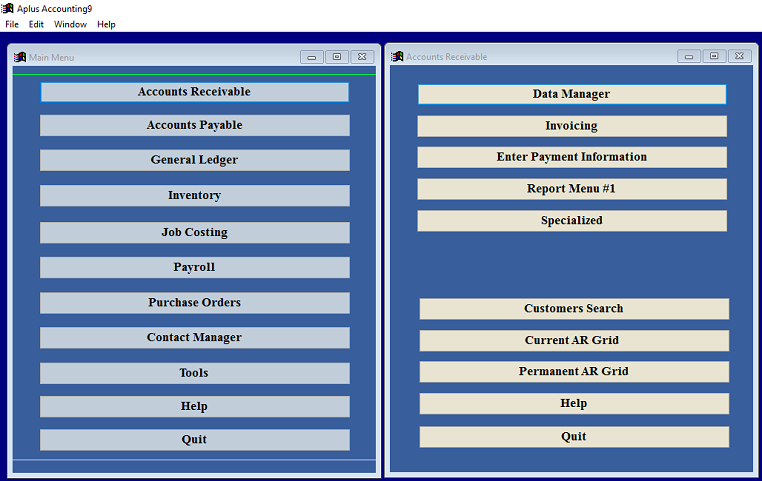 Aplus Accounting 9 is fully integrated software designed for the general public as well as the construction and manufacturing industries. All software December be customized to your specific needs. Some of our additional industry specific software includes software for the automotive industry, chiropractors, distributors, engineers, hotels, property management, real estate brokers, real estate agents, telecommunications industry and photography Software Design, Construcion Accounting, Manufacturing Accounting, Estimating,Estimate,accounting, free trial downloads, Construction Software, construction, jobcosting accounting,contractor, commercial, residential, time clock payroll integration, contact manager,AP, AR, GL, Inventory, Job Costing, Payroll, Purchase Orders, unit billings, AIA billings, percent of completion, work in progress schedules, certified payroll reporting, reporting tools, printing checks, equipment tracking, equipment journal, contract billings, union contractor, 1099s and W2s.